Roses - Most happy occasions in life call for beautiful red roses and you will find different kinds of bouquets and baskets here. 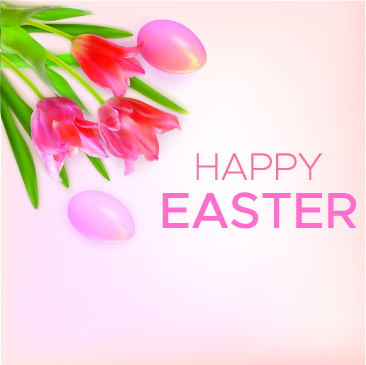 A bunch of pink roses can also delight your loved one when they receive it on their birthday or anniversary. Roses in blue, orange, and yellow can make for impressive gifts too, as they express warmth, love, and passion. A bouquet of multi-coloured roses can be a good idea for occasions like promotions or housewarming. Roses paired with lilies, carnations and baby's breath are beautiful too. Tulips – Elegant and cup-shaped, these flowers convey beautiful sentiments on birthdays and anniversaries. They come in red, orange, purple, pink, and yellow and look vibrant, lifting moods instantly. Gift these long-stemmed flowers in tall vases to make your special someone smile. Tulips combined with roses also look stunning. Asiatic Lilies – These large star-shaped flowers with dotted petals look breath-taking, whether they come in bouquets or vases. Lilies can be pastel pink, hot pink, deep red, sunny yellow and even fiery orange. A large bunch of dual-coloured lilies in white and yellow or pink and white can be charming too. 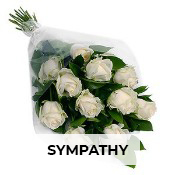 Other flowers – Sunflowers and orchids are also wonderful as floral gifts on special occasions. Sunflowers are large, sunny and can perk up any ambiance in seconds. Orchids, on the other hand, are stylish flowers that come in pretty purple, pink, white and yellow shades. You can send someone a lovely orchid plant too, which he or she can water and take care of. Gerbera daisies are colourful blooms that can brighten moods and environments easily. Available in red, yellow, orange, pink and more, these daisies are simple yet pretty flowers. Attractive combos – If you feel that just sending flowers to a dear one is not enough, consider buying combos with flowers and chocolates, flowers and cakes or flowers and teddy bears. You can send a single red rose with a cuddly white teddy on Valentine's Day for instance. Or choose a basket of sunflowers with balloons for a birthday. The red and white rose's bouquet with hugging bears is a perfect gift for anniversaries and V-Day. 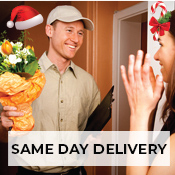 So you see that when it comes to same day delivery flowers to Philippines, your options are many. Pick one or more and place your order with us. We will deliver fresh and beautiful blooms to your friend or family's doorstep on the very same day.